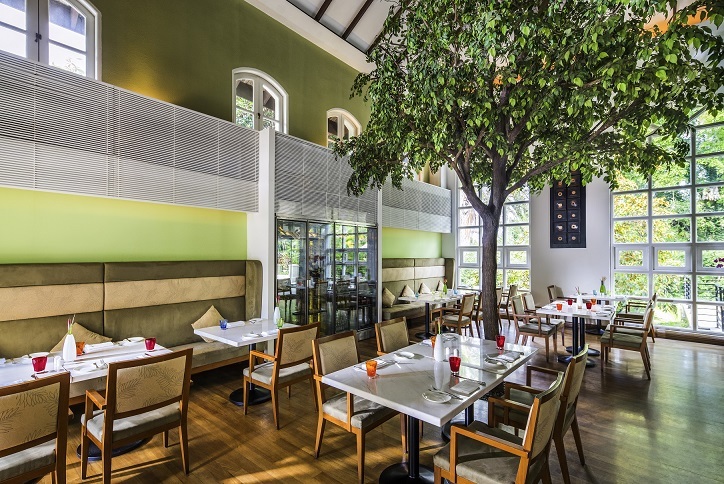 Fantastic ambiance with nice food & the servicing staff is really friendly. I will definitely visit again & recommend to my friends. Would like to send an extra warm thank you to Stella for great service and making out birthdays special. This place is a stellar location for a retreat from the city. I am so glad we decided to have our birthday lunch here. Thanks! Perfect place for a romantic dinner. The only downside is open kitchen. While we were dining, we can smell all cooking, smokes . Amazing food, brilliant service. Also, I just indicated that I was booking a table for four for a birthday celebration and that one of our party was gluten intolerant, and they had a gluten free chocolate cake prepared, also complimentary! Was super. I had a wonderful night at the Garden. The service was excellent. The server really paid attention to details and made sure everything was Perfect. The food wad very good as well, tastes were harmonious and the portion well-seize. I will come back for sure. I like this restaurant and environments around. It’s very comfortable and healthy foods. The most friendly staffs are around. Good Atmosphere for small gathering. Nice staffs and good hidden location. It is nice place to meet friends and serving good quality food. Salad is very fresh that you can choose yourself. Good food, Nice ambience and excellent service. Air con was a little warm during the lunch. But it’s just a small thing. Overall experience was good! I’ll be back with my family. Keep up the good work! Excellent customer service,  great ambience, delicious food. Will definitely visit again. The quality of food not up to it's priced standard. But still can try only if with attratixe offer and discount apply. The staff is friendly and enviorment add point to the overall dining experience. Excellent service and thanks for providing the cake! 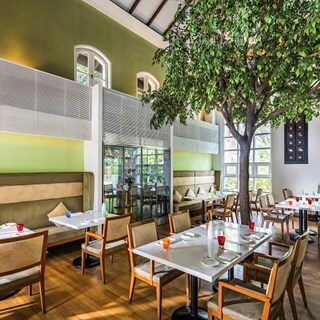 It’s very refreshing to find a restaurant in Singapore that offers healthy, light, food in a peaceful setting. My only comment is that The Garden is a misnomer as it’s actually a courtyard seating arrangement by a pool. Nevertheless very tranquil. Excellent service staffs, presentation of the food is good and the pasta is cooked to al dente! My daughter enjoyed every bite of the spaghetti. Lovely setting surrounded by lots of greenery and the occasional passing peacock. Food is fresh and well presented. Service is attentive. We were there in the afternoon as it was a little warm perhaps because of the sunlight flooding into the restaurant. I celebrated my birthday here and experince excellent food. The service is superb!I'll definitely try other food on our next visit. Great food & excellent service by sue. A nice restaurant with good ambiance, very delicious food and excellent service, will definitely come back again. Nice concept and location. Overall experience not good.